The 28th of July 2012 the world bar industry celebrate a year of excellence with the 6th Spirited Awards in New Orleans. This modern classic is the creation of Giuseppe Gallo, to celebrate the 10th anniversary of ‘Tales of the Cocktail®’ held here at the iconic Hotel Monteleone. Created using 100% agave tequila, premium vodka and agave nectar, Mariposa has been released to meet demand amongst bartenders for a natural sweetening agent for cocktails. 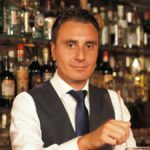 In the fascinating world of cocktails great to highlight the fame and commerce success of the famous “Negroni SBAGLIATO” born in the early seventies at Bar Basso in Milan.